With the top button done up, the jacket fits close to the body, without being tight. The result is a slim, flattering silhouette. The jacket pulls at the button when done up, causing the jacket to ride up a little and distorting the lapels as a result. The overall impression is of a man who’s grown out of his suit, not a good look. 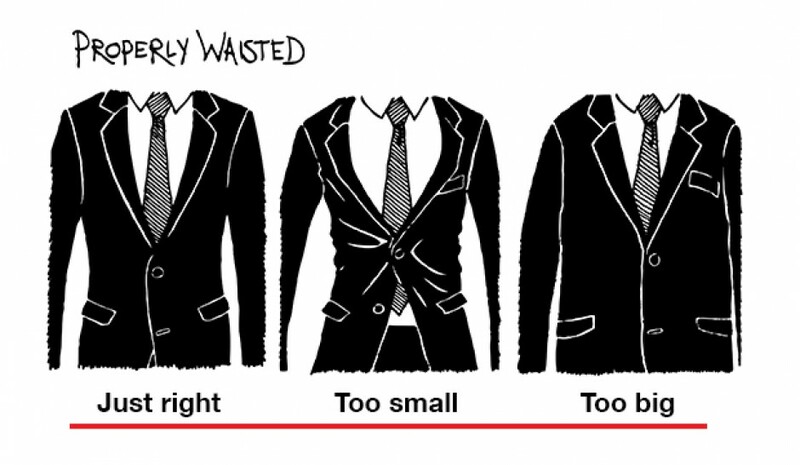 You know if your jacket is too big through the waist as soon as you put it on. Not only is it less flattering, it’s also less comfortable than a jacket that fits just right.